Published by Joshua Clare-Flagg on 20 Nov, 2014. 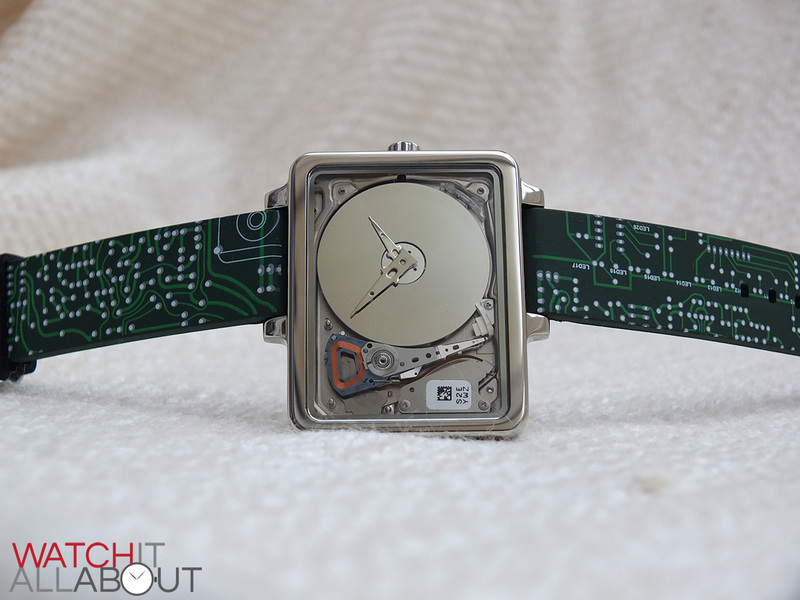 The HDD Watch is the work of a Frenchman named Jean-Jerome. With what was initially a simple idea, he’s completely followed through with it from conception to completion. That alone is definitely worth complimenting him on. 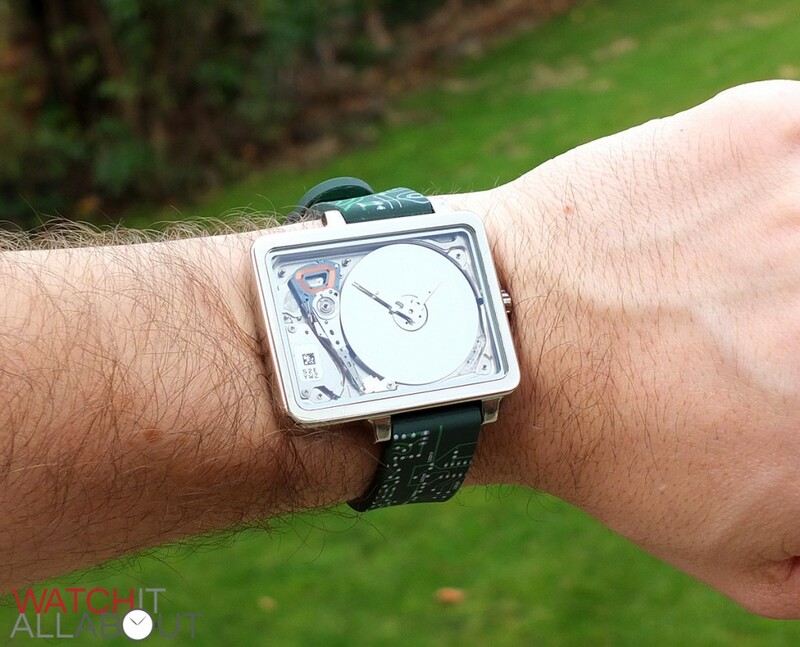 Every aspect of this watch has been custom designed by JJC, and he’s had these various parts purpose built for the watch – such as the case, crystal, hands and strap. He takes great pride one fact that apart from the movement and hard drive, there is no other component which is a stock item available elsewhere. 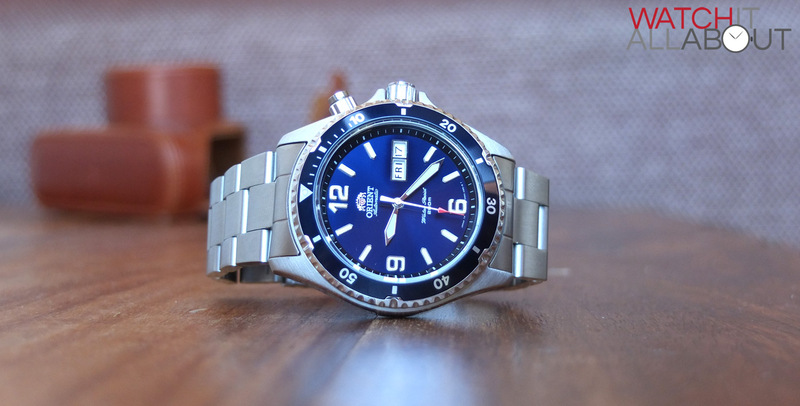 The watch is currently on Indigogo, and I urge you to take a look. The RRP is €150, but you can pledge one now for a mere €100. 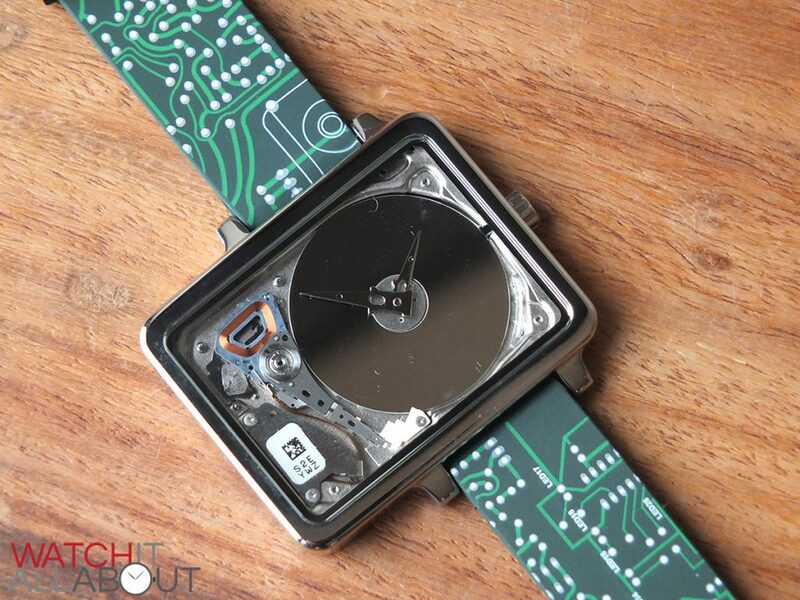 Let’s just start by saying it, the HDD Watch isn’t for everyone. It is a definite style and will appeal to only certain people. But, that doesn’t stop what JJC is doing impressive and worth talking about. 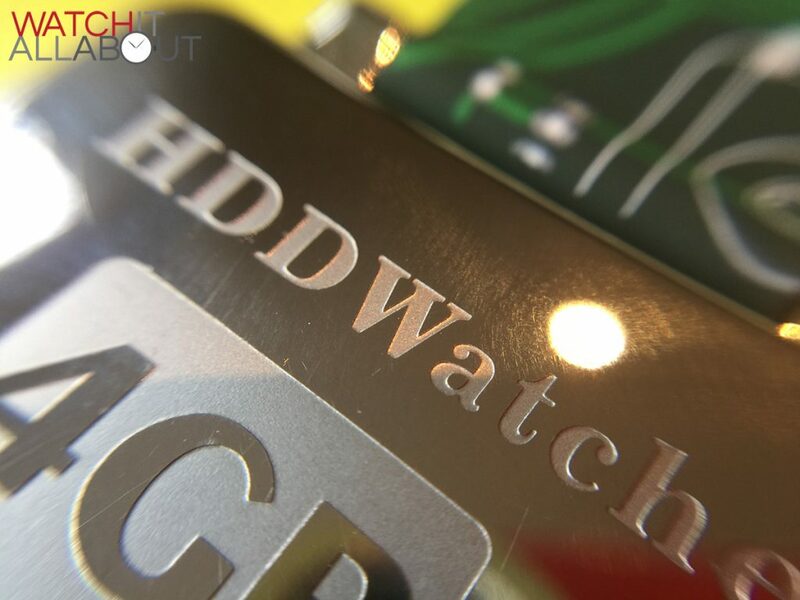 Let’s take a look to see if the HDD Watch is worth the €150. 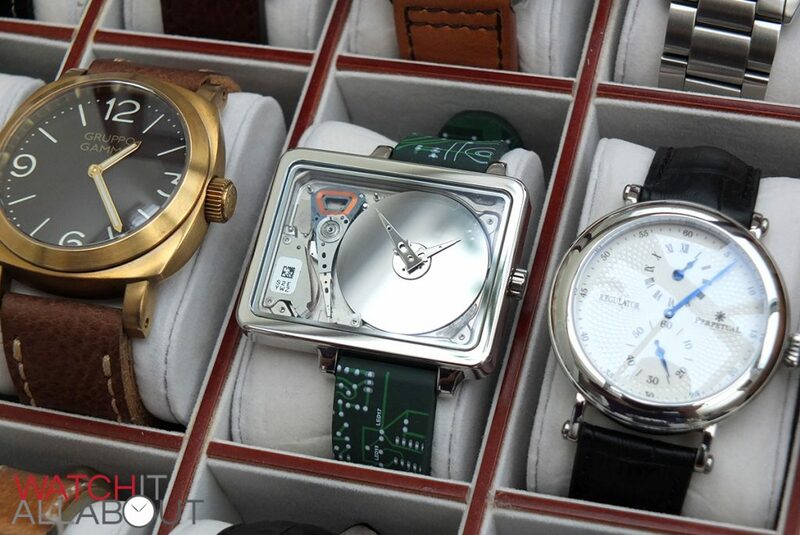 As I mentioned before, the case is custom designed and built for Jean-Jerome by a watch case manufacturer in China. It’s completely polished, and the finish is very good quality. It’s an extremely simple case – it’s basically a cuboid with rounded corners and edges. It measures in at 37mm x 42mm, and 8mm tall. It has lug to lug length of 45mm. 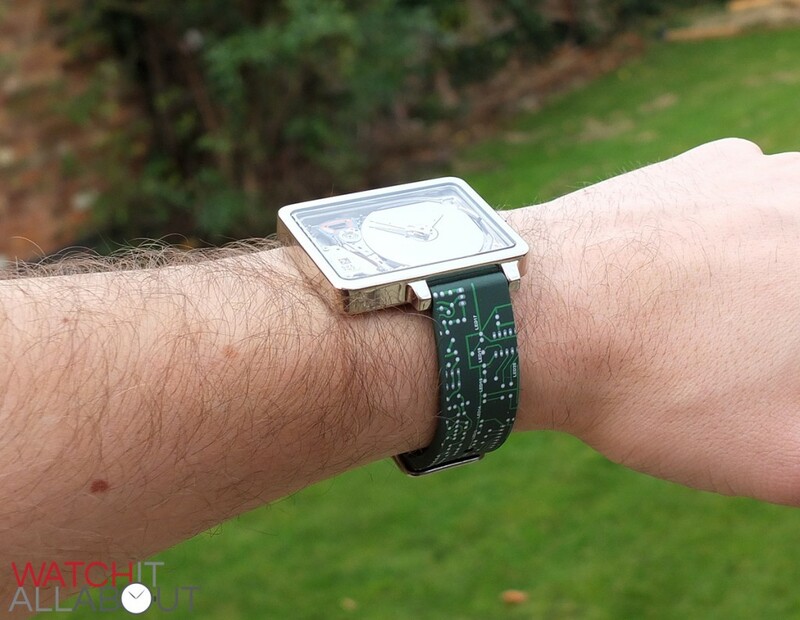 The height is a great plus – it’s very thin and sits under a cuff with no problem at all. 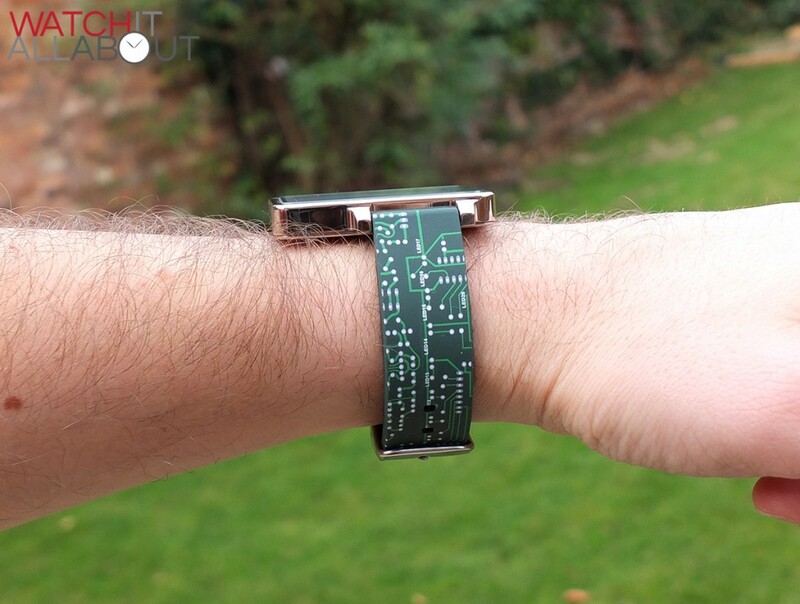 It is fairly large, especially being that it has a width of 42mm and its square, so it takes a lot of space up on the wrist. But, I don’t find it too overbearing – mainly because of the light weight. It weighs in at a mere 65g all in, which is incredibly light. This really helps with the excellent comfort level the HDD Watch provides. It doesn’t even feel like you’re wearing a watch. 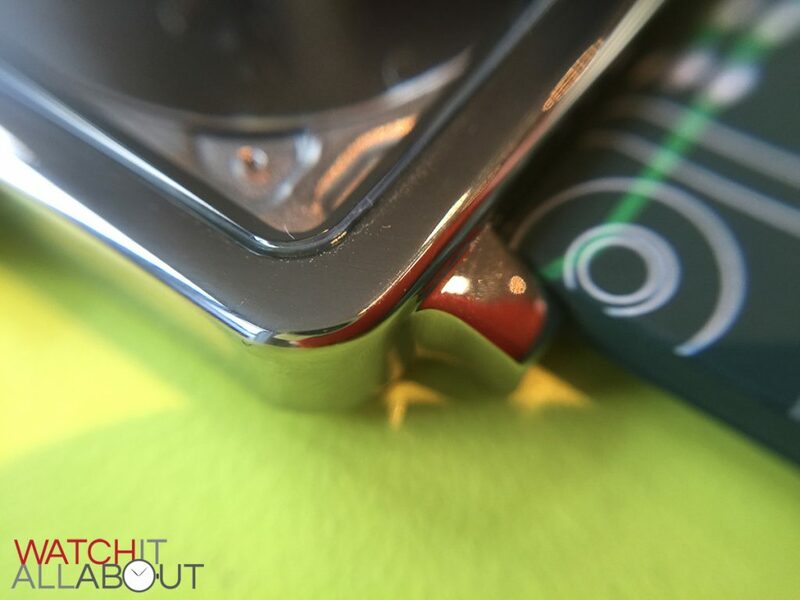 The lug width is 18mm, and the lugs are positioned over to one side, depending on which wrist you wear your watch on. 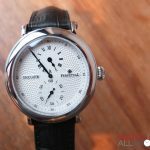 So in the case of the watch I’m reviewing now, it’s a left-hand version, so the lugs and the crown are situated on the right side, and the extra part of the watch case is on the left, going up the forearm rather than digging into the back of the wrist. The lugs are a pleasantly simple design, and are extremely short and dumpy – just long enough to fit the strap ends. 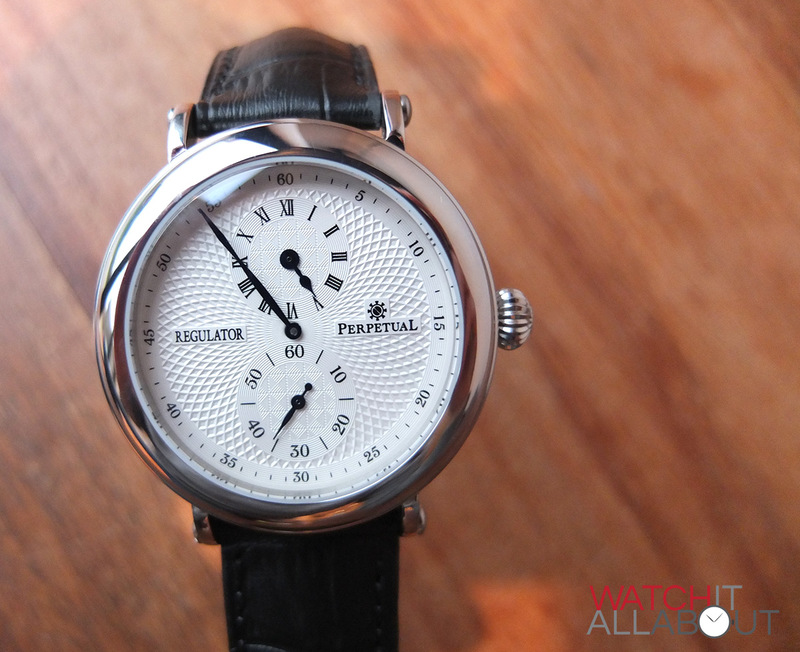 This is good as it keeps the lug to lug length of the watch down. The crown is also very simple. It is push-pull, and is polished like the case. It is unsigned, having no marking or engraving on it. 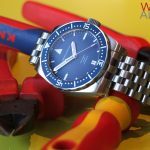 It is a decent size, fitting in well with the size of the watch in general and also provides sufficient grip to manipulate it. There are no crown guards on the case, so be careful not to give the crown a whack. 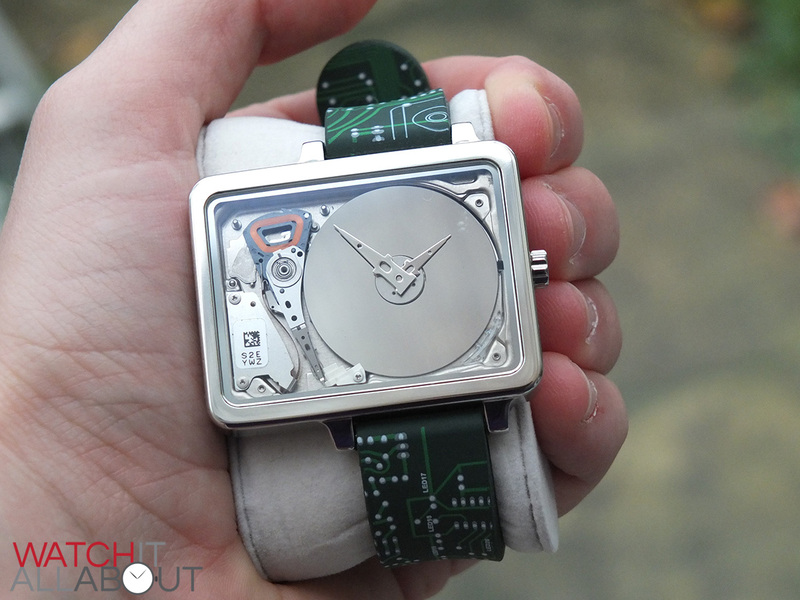 The caseback is push-fit, and has certain details deeply etched into it. These are the website, “4GB micro drive” and “Made in France”. These are all accurately engraved, and nice and deep too. 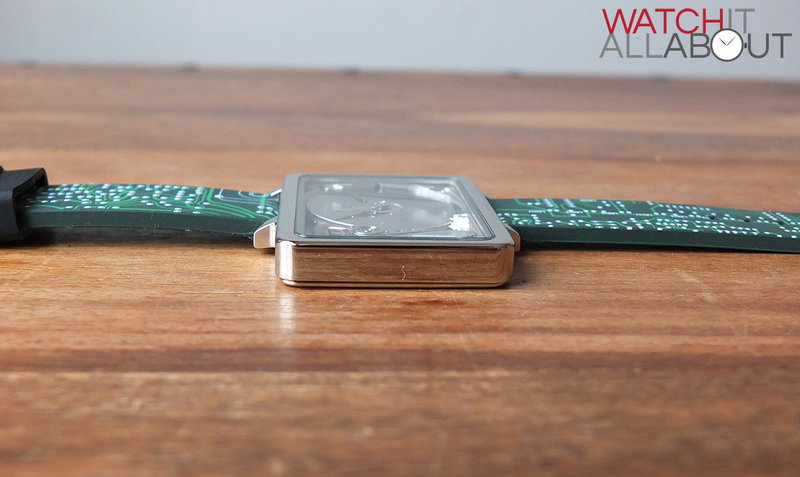 The crystal is also custom made to fit the case, and is mineral glass. 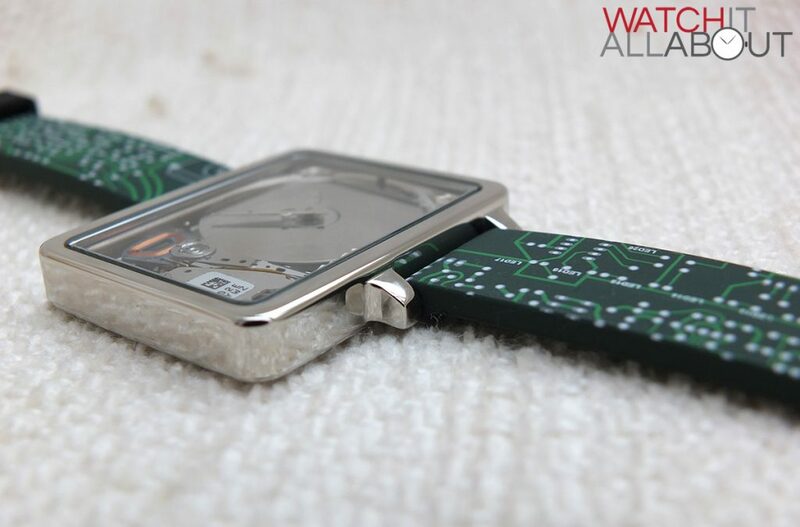 It is ever so slightly raised from the bezel, but fits perfectly and has a tiny beveled edge to it. The case in general is simple, but is accurately built and finished and does the job well in keeping the main focus on the hard drive it encases. 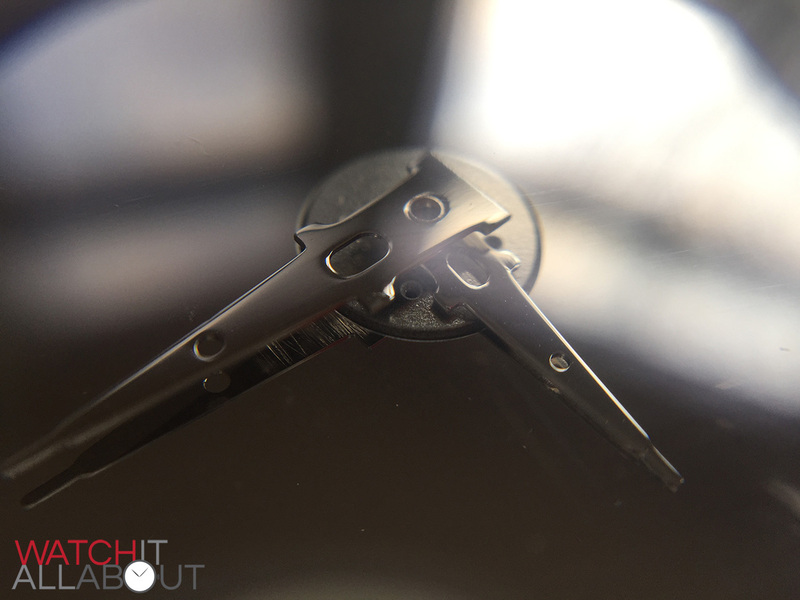 The dial is what can be only described as a full-on real-deal 4GB micro hard disk drive. I can’t really go into much more detail than that. If you look to the left, you’ll see the actuator arm pulled to one side. 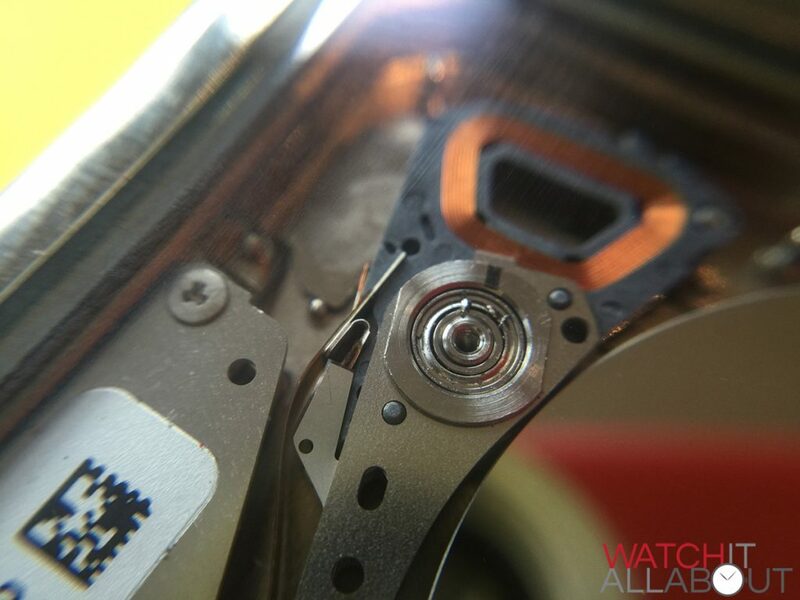 The actual watch face is the hard drive disc itself, which is a polished disc. 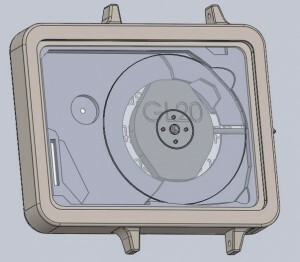 The hands have been custom designed and machined for the HDD Watch. It’s obvious to see that the hand design is based on actuator arm and head. Both hands are exactly the same design, the only difference being the minute hand is larger and longer than the hour hand. 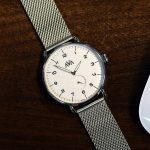 The hands are polished, which do affect the readability of the watch at a glance – it can be hard to differentiate between the polished dial and the polished hands quickly. There is no date indicator, nor is there a second hand, which keeps things as simple as possible. 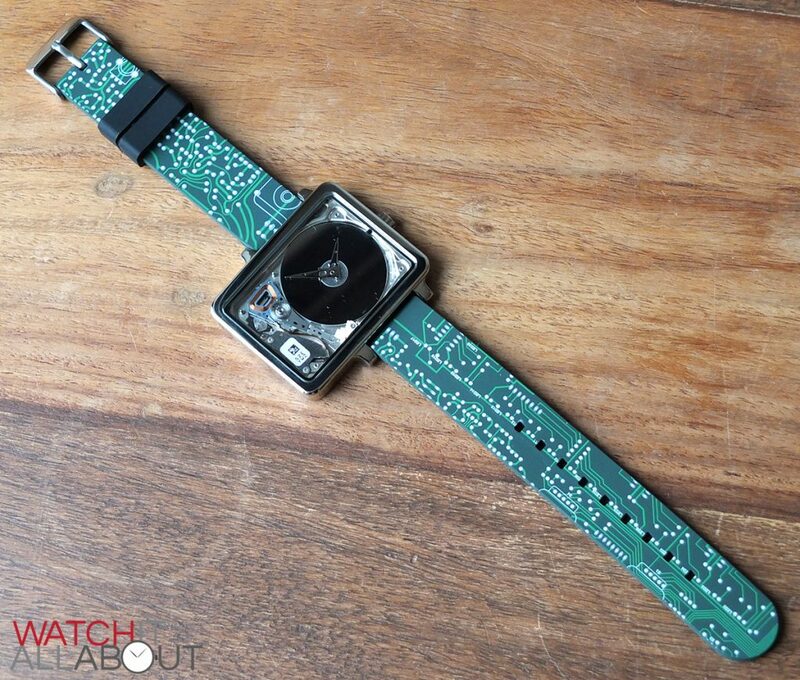 This is a good thing, especially when you have a hard drive strapped to your wrist. I like how the sticker has been left on the hard drive, with a number and QR code printed on – an intriguing aspect which breaks up the sheer amount of steel on display nicely. There is no marking whatsoever on the dial, so you can never set or read the time exactly unless it’s something straight forward like the hour, or half past for instance. The dial in general is well executed, the only minor thing worth mentioning is that there’s a couple of tiny marks on the dial and underside of the crystal that you can notice at certain angles – but that’s a small QC issue rather than a problem with the watch itself. The strap is once again custom made, completely to Jean-Jerome CasaIonga’s specifications. He even designed the PCB printing design. It is made of beautifully soft Neoprene. Neoprene is a synthetic rubber, also used for your car’s fan belt, wet suits, knee / ankle / wrist braces, and laptop sleeves to name a few. 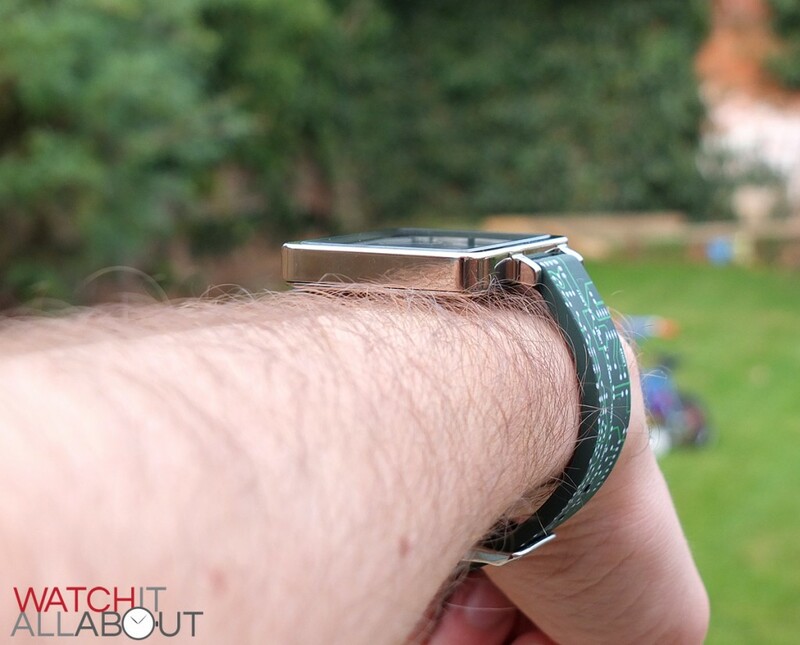 So you certainly get the idea of how soft, malleable and comfortable the strap is. 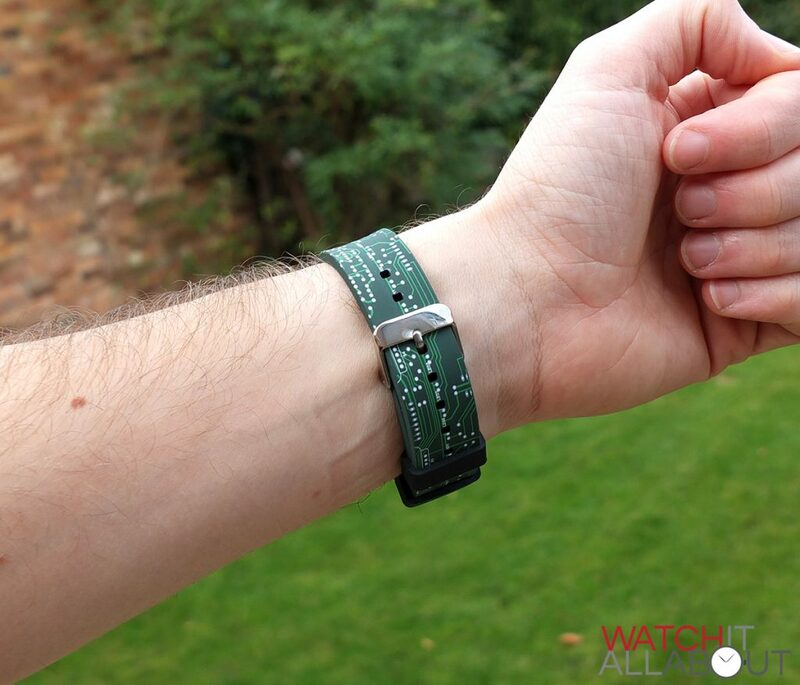 I’m so pleased how it feels to wear, I can’t explain it – it’s possibly the most comfortable strap I’ve worn on the wrist. 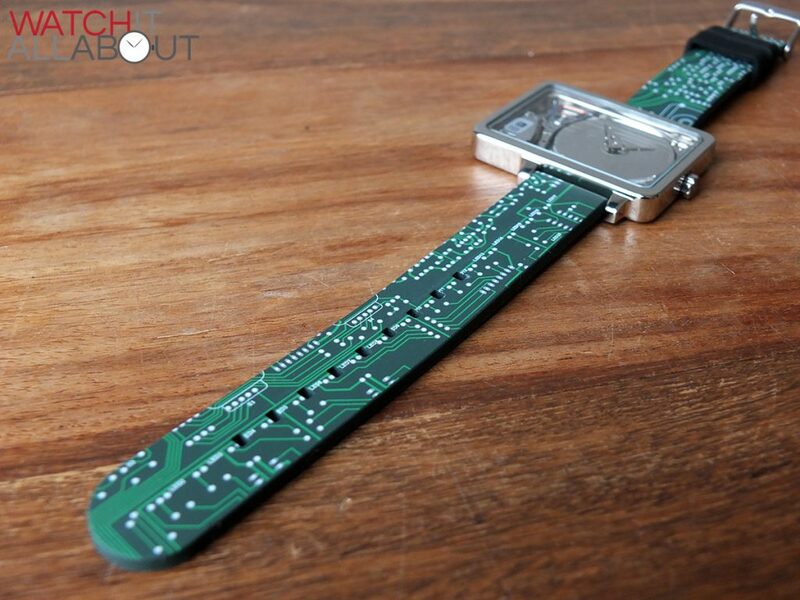 Obviously this goes well with the very light weight of the watch, but the strap definitely has a major part to play in how comfortable this watch is to wear. 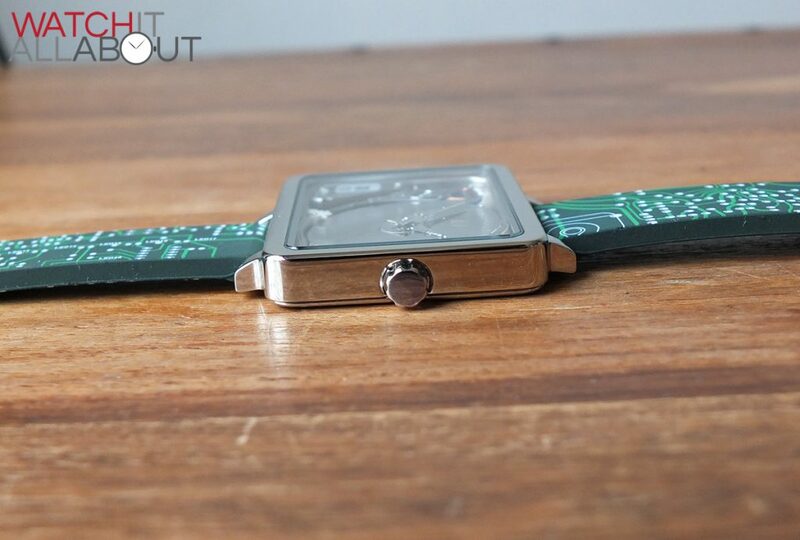 The strap is 18mm wide for the full length, which is suitable for the watch and looks to be the correct proportion. 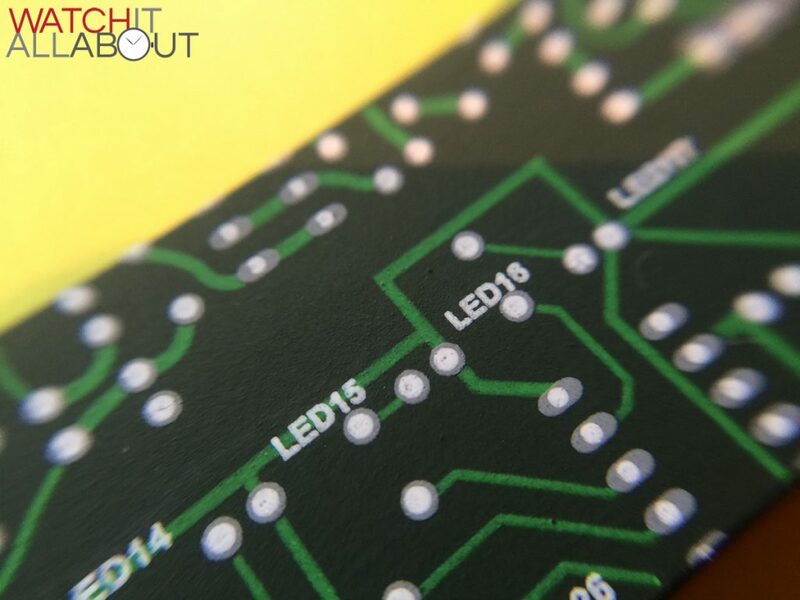 The PCB pattern is printed on the top and bottom, and is a design that I really like. Sure it’s geeky, but it’s done in a way that isn’t too over the top. 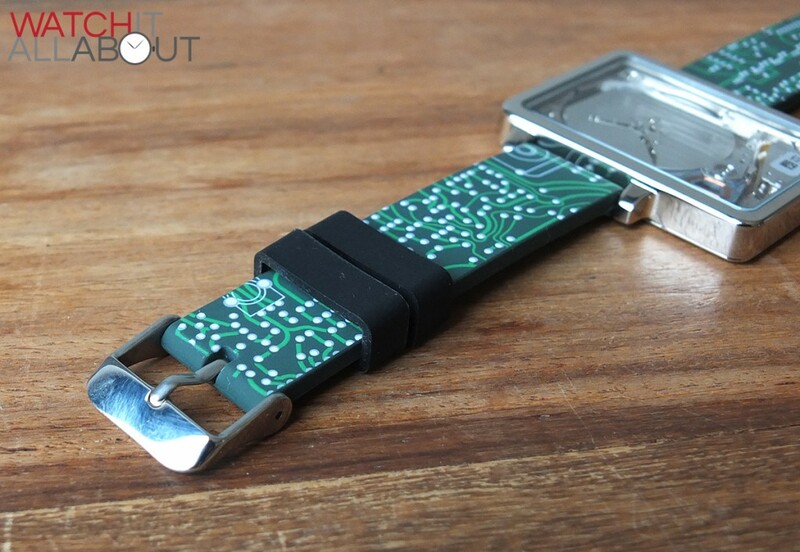 There are also two loose black keeper loops located on the top half of the strap. 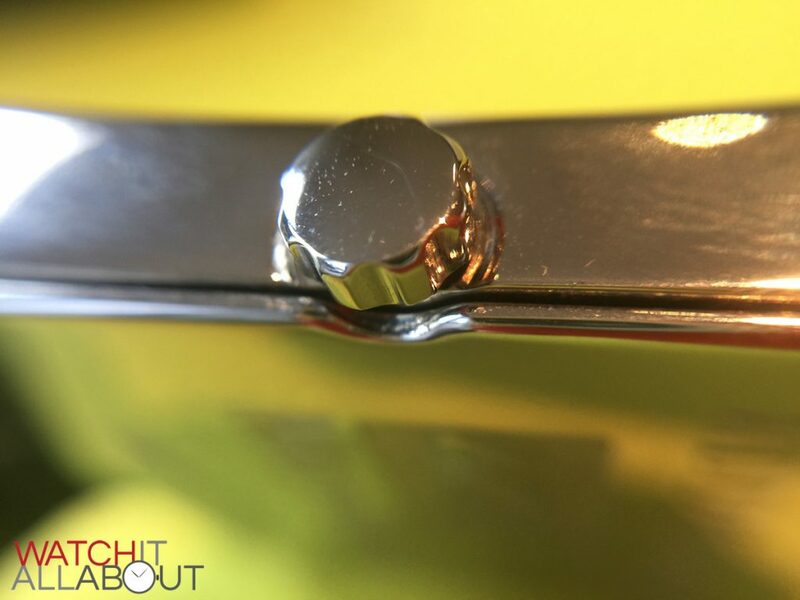 To finish off, the strap has a plain polished buckle. 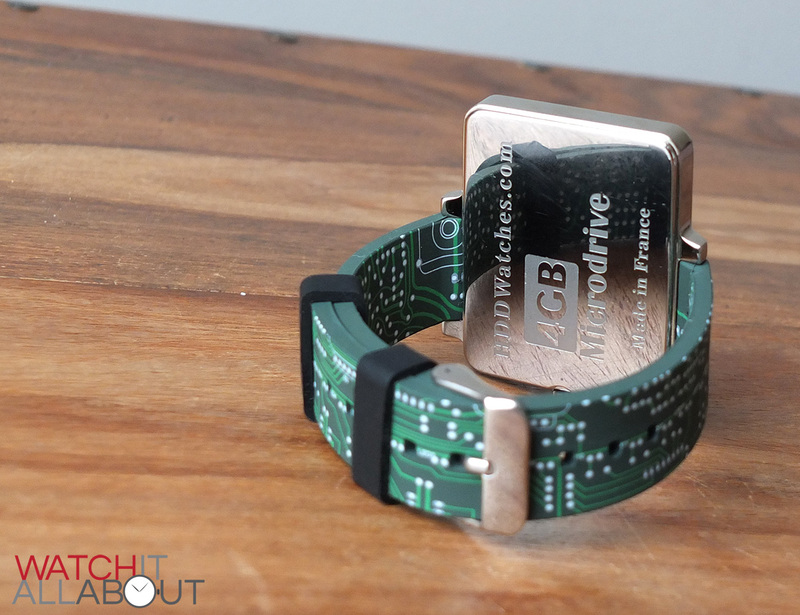 It’s a very simple buckle, nothing particularly exciting to report here. 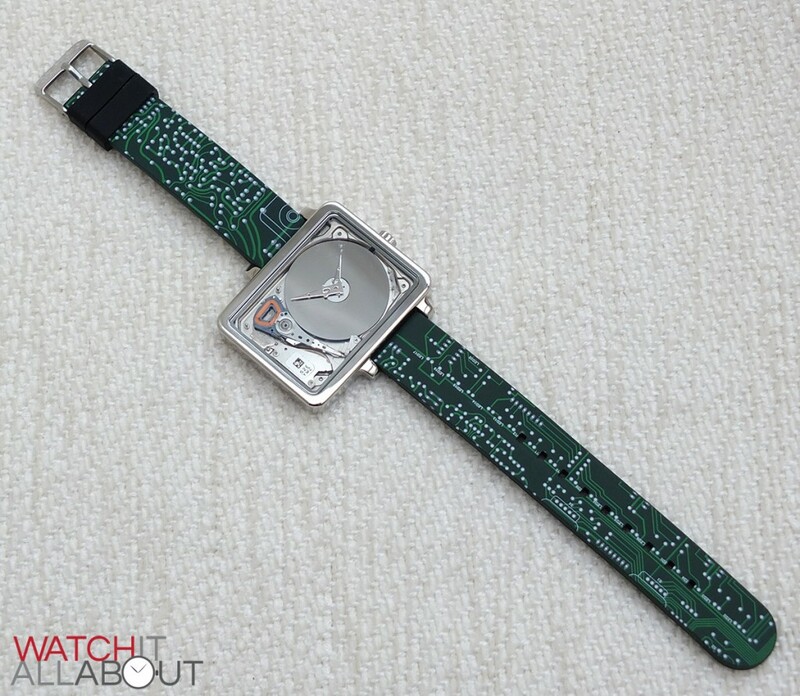 The strap for me is the winner on the HDD Watch. 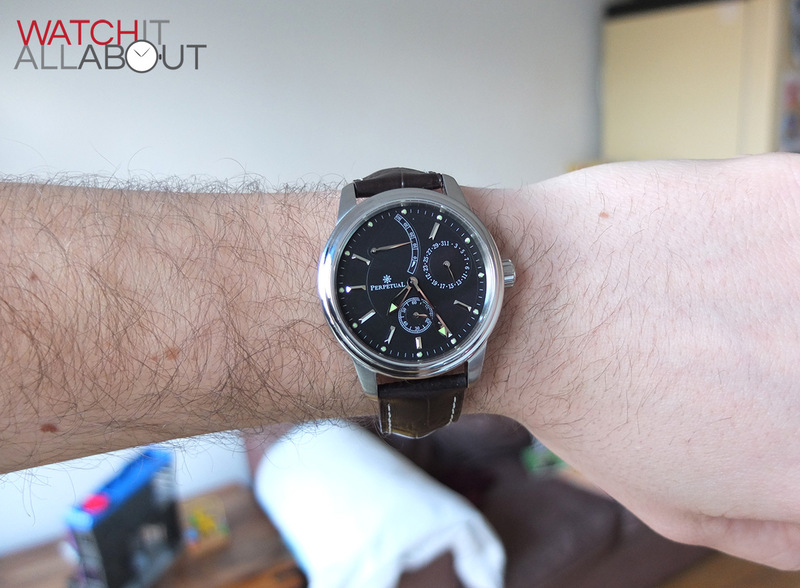 It’s so comfortable – it makes wearing the watch a pleasure. There’s not a great deal that can be said about the movement. It’s quartz, and a pretty small one at that. 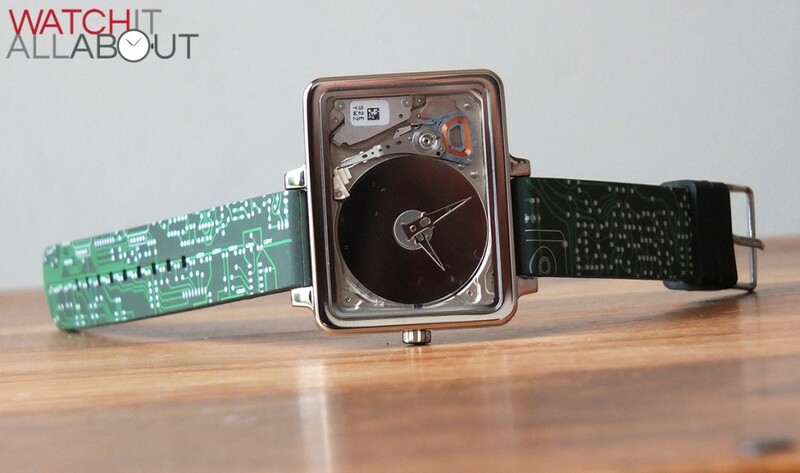 It’s the Miyota-Citizen GL20, which is one of the few movements thin enough to fit in the case behind the hard drive disc / dial (it has a height of a mere 2.28mm). It doesn’t have any jewels, nor does it have any complications or a second hand. 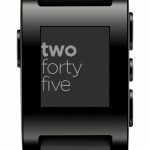 It has a 5 year battery life, and accuracy of +/- 20 seconds a month. 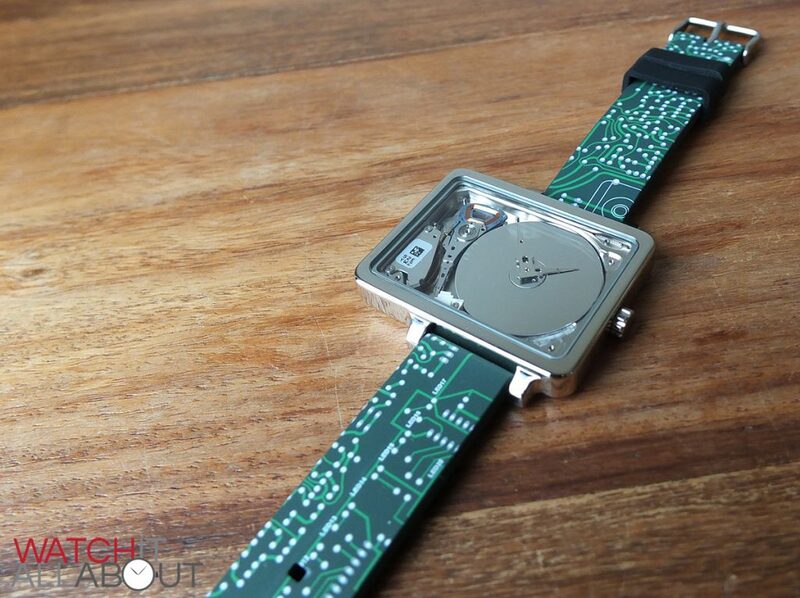 I’ll be honest, there is no direct competition for the HDD Watch. 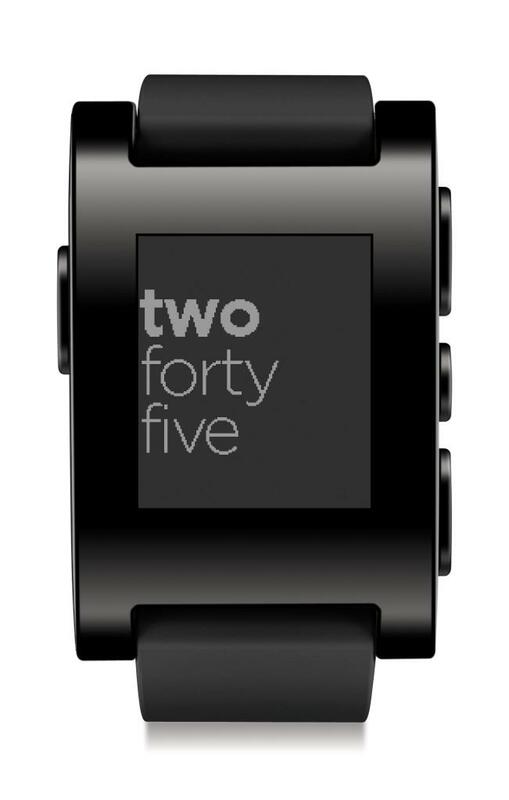 I suppose the closest you can get regarding price and the techno-factor is a Pebble maybe. Otherwise, you’re looking at other watches in the £100-£150 bracket, which is full of choice. 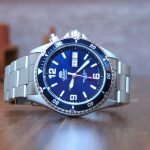 If I was to recommend a mechanical watch at that price, it would have to be the Perpetual Regulator, Perpetual Power Reserve, or the Orient Mako. But none of them are made of hard drives, are they. 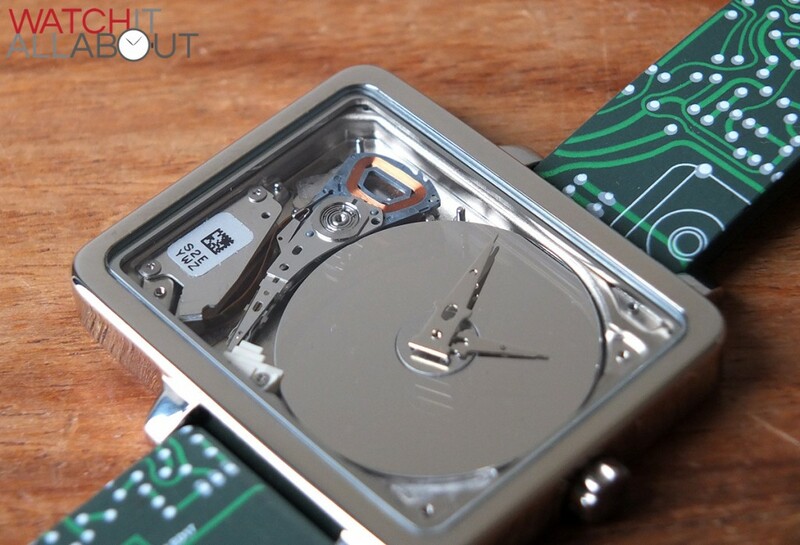 It’s obvious that the design and style of the HDD Watch is only going to appeal to certain tastes. I’m sort of on the fence, whilst I love the watch, it’s probably not for me personally. But, that doesn’t stop what JJC is doing here fantastic work. 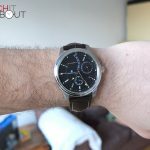 I don’t know what it is about it – whether it’s a combination of the light weight, beautiful strap and flat back, but this is probably one of the most comfortable watches I’ve ever worn. 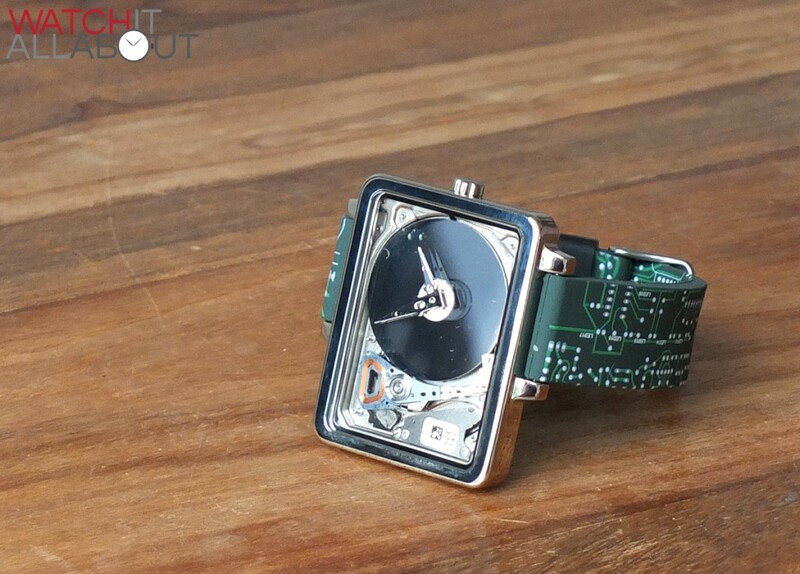 Let’s give him credit too, as every part of this watch has been custom made – there’s no stock items within it whatsoever (apart from the hard drive and the movement). So when you think about all this, and the price being a mere €150 I feel that if it appeals to you, it’s a fantastic choice. 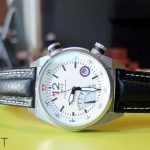 Nobody else will have a watch like it, and you’ll have a quality watch hand made in France by a wonderful man named Jean-Jerome. Hi there, nice to see this reviewed, its a really cool piece. 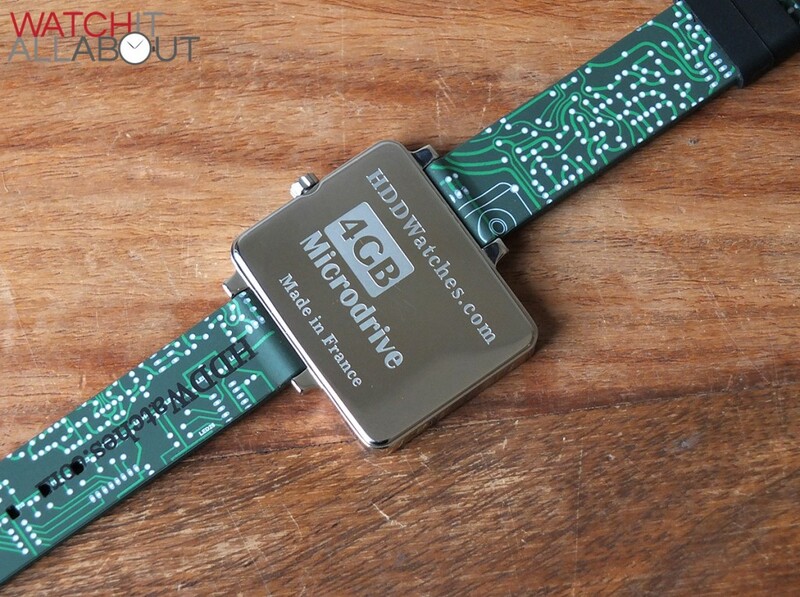 I love the idea, and the case, but the strap for me is a bit too much, i think it could look great on a leather strap – more like jewellery maybe? 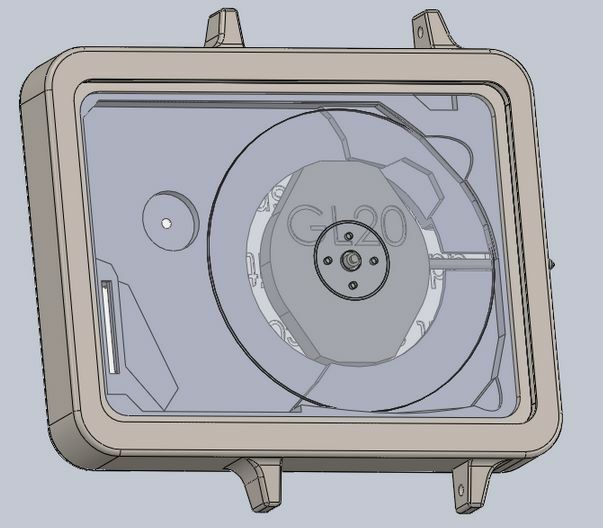 Wouldn’t it be cool if the disc was rotated by a stepper motor, and it became a 24h watch with some very simple reference point on the disc being the time! not sure if these HD drives can do stepping, suspect the cleverness is in the head mechanism? 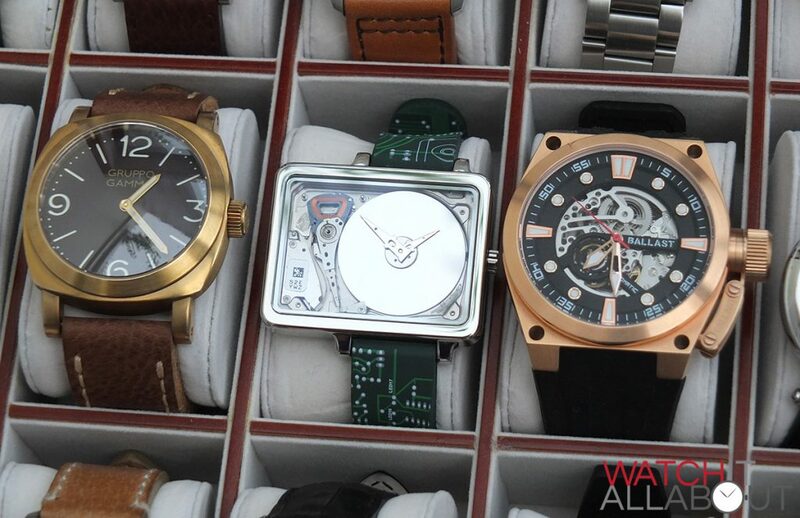 Great site by the way, I’m in your price range, but will never end up with many watches ah well!